413. 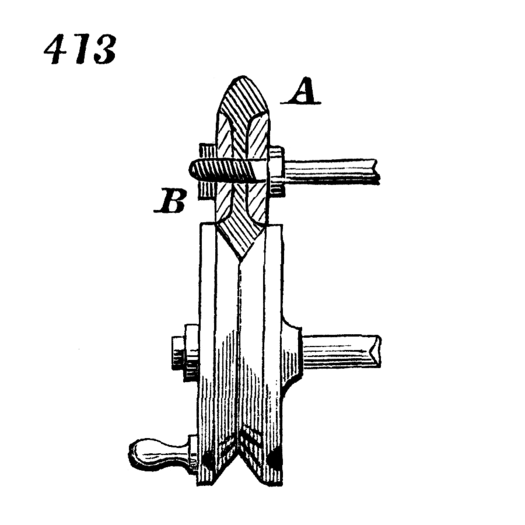 J. W. Howlett’s patent adjustable frictional gearing. This is an improvement on that shown in 45 of this table. The upper wheel, A, shown in section, is composed of a rubber disk with V-edge, clamped between two metal plates. By screwing up the nut, B, which holds the parts together, the rubber disk is made to expand radially, and greater tractive power may be produced between the two wheels.